The fourth meeting of the new men’s group will be held in the Parish Room and April’s meeting will be a talk by one of our own parishioners, Steve Aiken OBE, MLA. 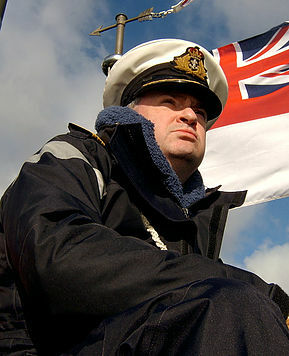 Steve will be talking about his career in the Royal Navy where he served in the submarine service. At the height of his career he commanded a nuclear submarine and many will remember the BBC documentary, ‘Officer and Commander’, which featured Steve in his final command aboard the Navy’s oldest nuclear submarine, HMS Sovereign, before completing his career onshore.